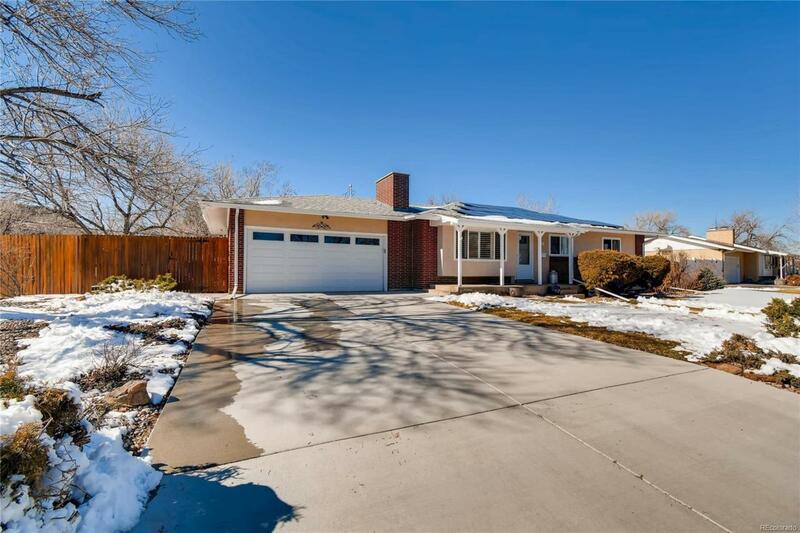 Welcoming from the moment you arrive, this lovely Ranch style home in Applewood West features 4 beds, 3 baths, living room, sun room, dining room, kitchen, finished basement (includes a lower level family room, bed and bath) and 2 car garage. The finished basement is perfect for guests or teen wanting their own space. 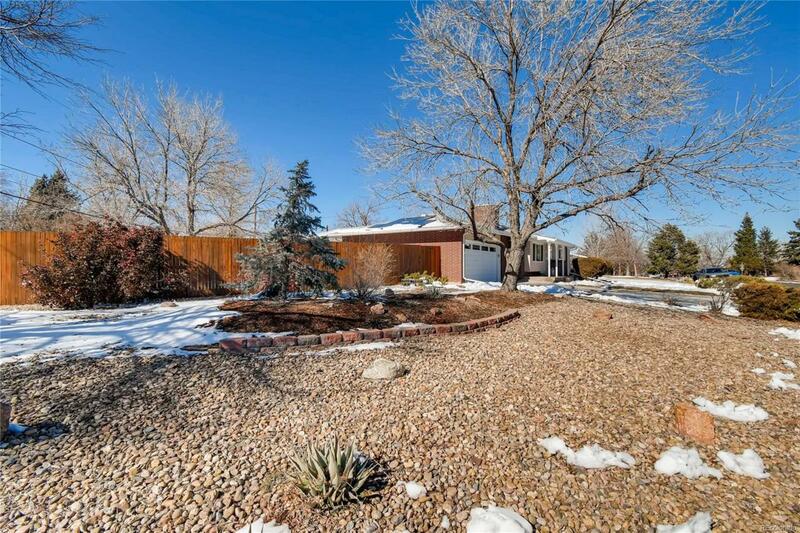 Enjoy entertaining or gardening in the large back yard. Updated yet retaining vintage touches such as the built-in cabinets and shelves. The many windows keep this home light and cheerful and the neutral tones make it easy to picture yourself calling this one yours. The sun room lighting is perfect for a craft room, office or a secondary eating space. 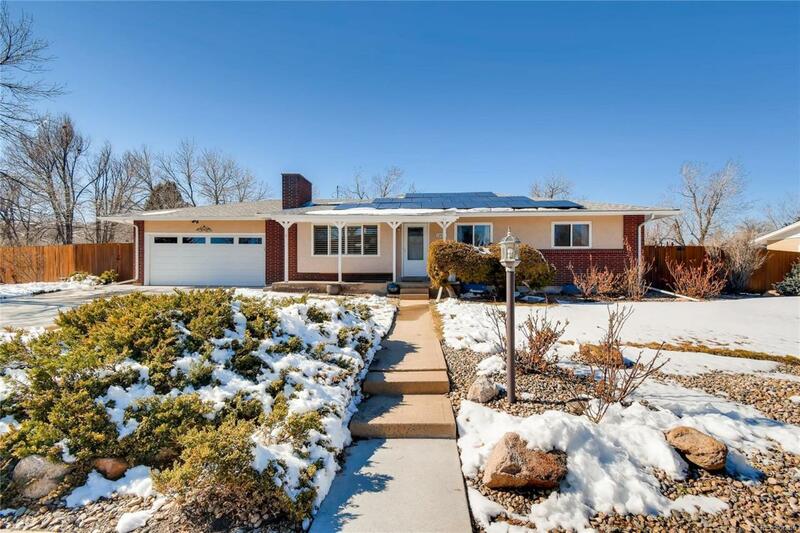 The solar panels, energy efficient furnace, central air conditioning and fireplaces help keep this home comfortable all year long. Close to dining, shopping, entertainment and other amenities. 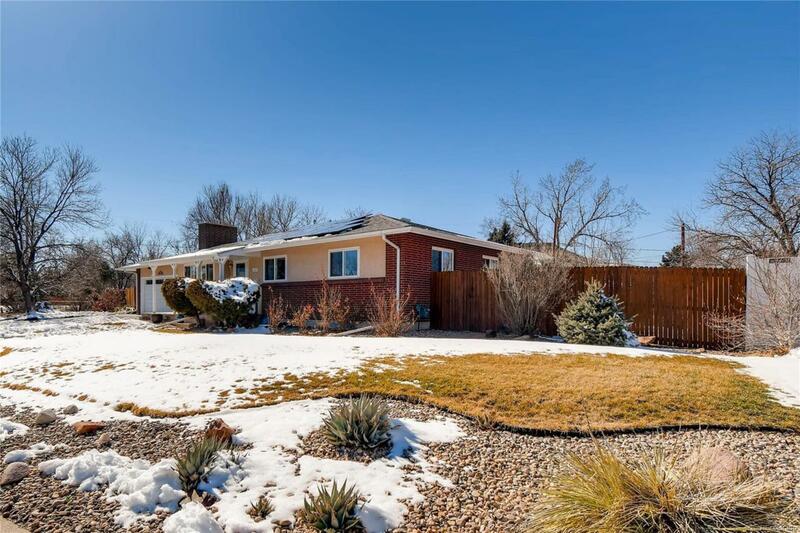 A short commute to Longmont, Denver, Boulder or beyond. Don't miss your opportunity.